We firmly believe that the quality of leadership distinguishes the most successful organizations from those that wallow in mediocrity or struggle merely to survive. What are you doing to develop your own leadership skills? Perhaps more importantly, what are you doing to develop the next generation of leaders for your organization? 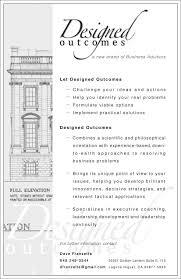 Whether you are looking to enhance your personal leadership skills, or you want to create a set of leadership learning experiences for the senior managers of your organization, the advisors at Designed Outcomes have the skills and practical experience to custom design the approach that will deliver the results you desire.